Alva Ohler Hinshaw1,2,3,6,7,8 [Alvin O. Hinshaw9]. Hinshaw Alva O, student Friends Uni, b 1806 Maple. Alva O Hinshaw and Mable his wife with their minor children Basil Eugene, Alice May and Dorcas request a certificate to Westfield Monthly meeting of Friends. William Chenowith and Mary Moody are appointed to prepare and produce to next meeting a certificate for them the way being clear. We have received a removal certificate issued at White river Monthly Meeting of Friends, held at Rural, Randolph Co, Indiana, sixth mo 5" 1915, for Alva O. Hinshaw, and Mable his wife, and their minor children Basil Eugene, Alice May and Dorcas. Friends unite in receiving them and the clerk is directed to inform the meeting issuing the certificate of their reception. Westfield Monthly Meering of Friends informs this meeting that they have received our certificate of removal for Alva O. Hinshaw and family thus making them members of that meeting. 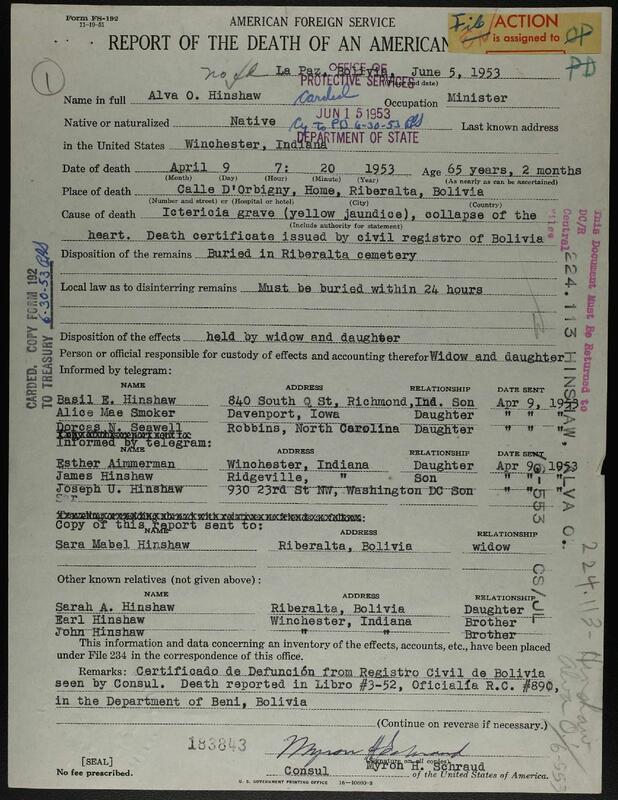 Hinshaw, Alva O., age 39, born 8th Feb 1888, Sterling, Kansas; residence: Winchester, Indiana. Hinshaw, Mabel, age 35, born 19th Jan 1892, Winchester, Indiana; residence: Winchester, Indiana. Hinshaw, Basil, age 16, born 28th Apl 1911, Winchester, Indiana; residence: Winchester, Indiana. 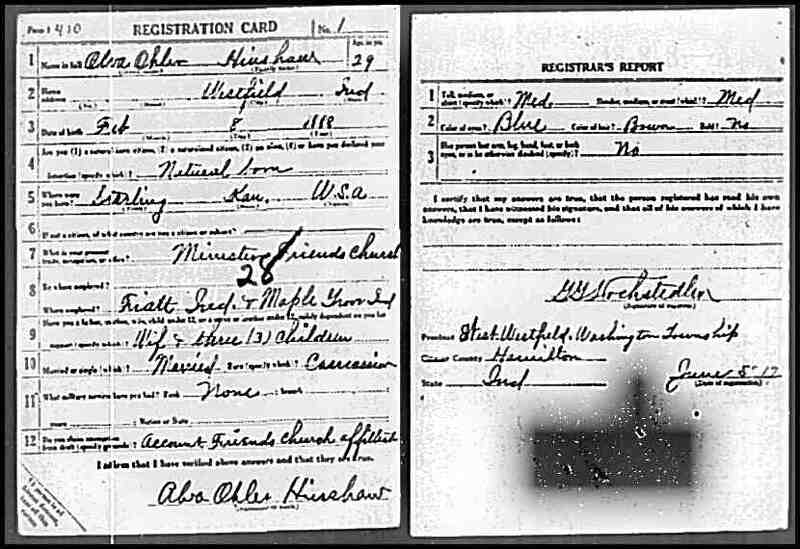 Hinshaw, Alice, age 13, born 16th Apl 1914, Winchester, Indiana; residence: Winchester, Indiana. Hinshaw, Dorcas, age 12, born 3rd May 1915, Westfield; residence: Winchester, Indiana. Hinshaw, Esther, age 8, born 18th Mch 1919, Westfield; residence: Winchester, Indiana. Hinshaw, James, age 7, born 6th Jun 1920, La Paz, Bolivia; residence: Winchester, Indiana. Hinshaw, Sarah, age 5, born 6th Mch 1922, Serata, Bolivia; residence: Winchester, Indiana. Hinshaw, Joseph, age 3, born 23rd Dec 1923, Serata, Bolivia; residence: Winchester, Indiana. Hinshaw, Alva Ohler, age 48, born 8th February 1888, near Sterling, Kansas; residence: Winchester, Indiana. Hinshaw, Alice, age 22, born 16th April 1914, near Winchester, Indiana; residence: Winchester, Indiana. Hinshaw, Dorcas, age 21, born 3rd May 1915, West Field, Indiana; residence: Winchester, Indiana. WATCH-NIGHT SERVICE Special entertainment to edify all. Guest speakers for these services are the Rev. 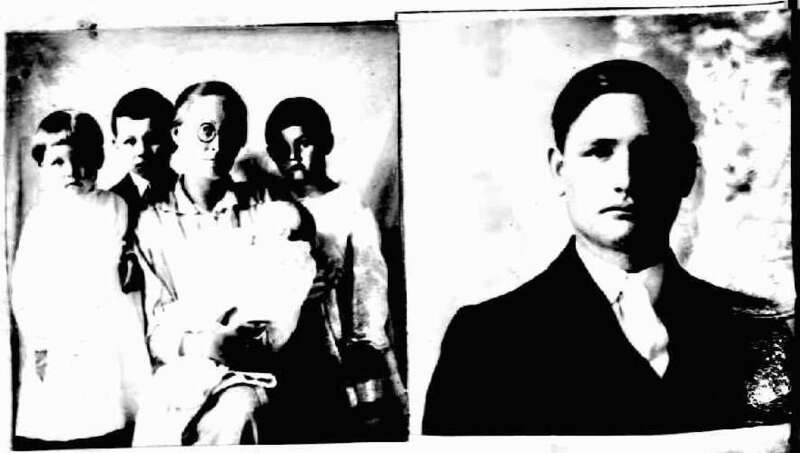 Alva O. Hinshaw and family, recently returned missionaries from Bolivia, South America. Hear the thrilling experiences of missionary travels as told by the youngest daughter. Special music and singing with the spirit filled messages will be enjoyed by all. Come Friday night at 8:00; Saturday night at 7:30. Don't miss this! Obituary of Dorcas Naomi (Hinshaw) Seawell. "Kokomo Tribune", Dec 31 1948; http://www.ancestry.com. Reports of Deaths of American Citizens Abroad, 1835-1974; http://www.ancestry.com.